Soi Sun Yat Sen is a little lane off Ratchawong Road in Chinatown Bangkok or Yaowarat. Originally known as Soi Phalittaphon, this was where Dr Sun Yat Sen visited when he came to Bangkok in 1910. Dr Sun Yat Sen was on a tour of South East Asian countries to raise funds from the overseas Chinese for the Chinese Revolution. 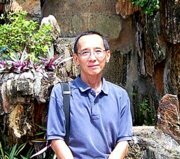 He convinced several Chinese businessmen to put up their assets as collateral with an English bank to raise the loans. Please see map for the location of the soi. Some of these assets included three rice mills in Bangkok. It's not known if the English bank managed to recover the loans. 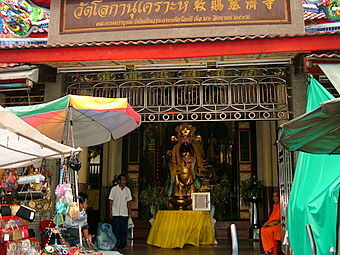 On 22 Jan 2004, during the Chinese New Year, Chinatown Bangkok celebrated its 222nd anniversary with a two-day festival. The residents organized a grand celebration to commemorate the occasion and also the 72nd birthday of Her Majesty the Queen in August. The ceremony was graced by Her Majesty Queen Sirikit and Her Royal Highness Princess Maha Chakri Sirikorn. On this grand occasion, Soi Phalittaphon was renamed Soi Sun Yat Sen to honour the father of the Chinese Revolution in 1911 and also the contributions of the Thai Chinese community. Visitors to this soi can identify the soi some 50 m on the left after turning into Ratchawong Road. There's a huge archway with the name of the soi written in Thai and Chinese (Chung Shan Road) to mark Dr Sun Yat Sen's visit to the area. The soi itself is a narrow lane barely passable to a single vehicle. 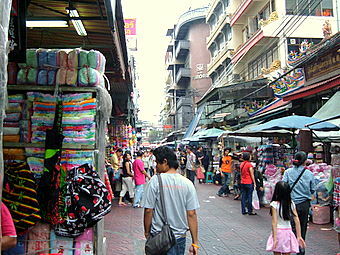 It's crammed with shops and stalls on either side selling a wide variety of goods. 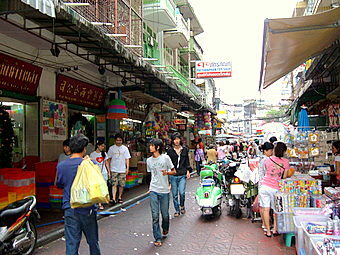 Today, the street market in this soi is a hustle and bustle of daily commerce. The grand archway over the entrance to the soi is the only reminder of the legacy of Dr Sun Yat Sen.
Officially the soi is called Soi Phalittaphon in Thai and Chung Shan Jie (Chung Shan Road) in Chinese. It’s off Ratchawong road, the next street from Soi Sampheng. Take a Chao Phraya River boat to N5 Ratchawong pier, walk along Ratchawong Road for about 400 m till you reach the soi on your right. 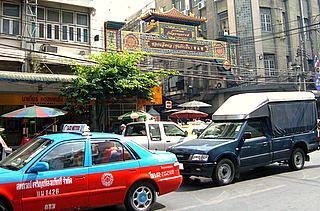 Or take the Bangkok subway (MRT) to the Hua Lamphong (HUA) terminal station. 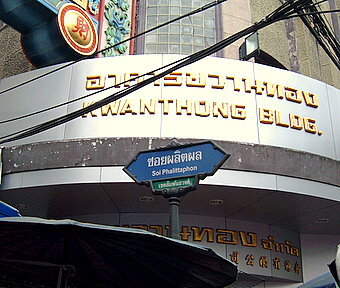 Then walk along Yaowarat Road to Ratchawong Road and turn left. The soi is about 50 m from the junction on your left. 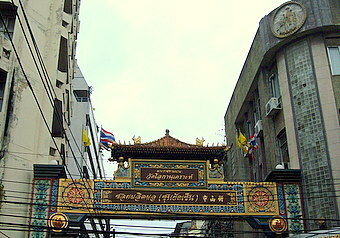 To return to Chinatown Bangkok.